A bill to expand Oklahoma’s currently quite limited industrial hemp program has gained the green light from the House and Senate and has headed to Governor Stitt for his signature. House Bill 2913, which sought to establish the Oklahoma Industrial Hemp Agricultural Pilot Program, was signed off just under a year ago. As we reported a month prior to it becoming law, HB2913 had the same limitations as in many other hemp states – only permitting a university or an institute of higher education to hold a license (although subcontracting of cultivation was possible); per provisions in the 2014 Farm Bill. With the passing of 2018 Farm Bill, the game has changed, with the nation’s hemp sector to be given the space it needs to really spread its wings – and Oklahoma wants to fly. SB 868 directs the State Board of Agriculture to consult with the Governor and Attorney General to submit necessary paperwork to the USDA for the approval of the Oklahoma Industrial Hemp Program, opening the way for commercial production of the crop. This seems to indicate that whatever the USDA comes up with is what will be implemented – rather than spending extra time developing a plan and then submitting it for the USDA’s review. So here’s hoping the USDA puts something solid together. TulsaWorld reported late last week that SB 868 was on its way to Governor Kevin Stitt after winning the House of Representatives’ approval without a dissenting vote. Governor Stitt, who is still reasonably fresh in the state’s top job, doesn’t seem to have a problem with cannabis generally. Last month he signed a medical marijuana “unity bill ” that was widely supported by the cannabis industry. 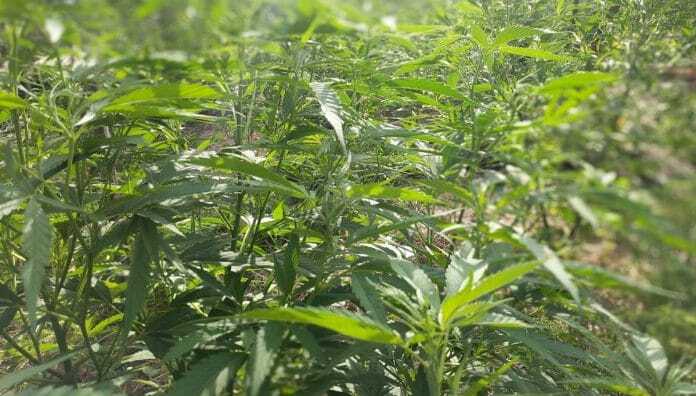 Co-author of SB 868 Senator Lonnie Paxton expressed high hopes for hemp in his state last year after the legislation for the pilot program was passed.